The more you know about a property before you buy it, the better your decision is likely to be. Visible foundation problems, water damage, and bad windows can all make you walk away from a potential home. But less visible problems can be just as serious. In order to prevent that it is wise to get the air conditioning inspected before you buy a house. The HVAC is in good general condition. A professional can tell you a lot about the history of an air conditioning system. They can tell you if the unit has been consistently maintained, which tells you a lot about the previous owner in general. They can also let you know if it’s just one more repair away from needing to be replaced. There are potential fire or water hazards. 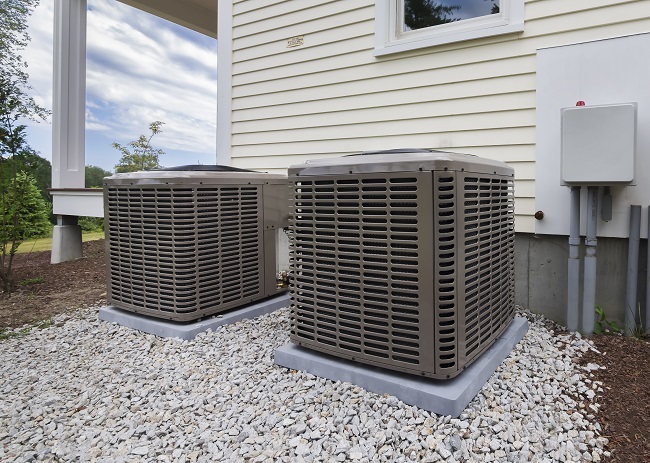 HVACs use a lot of power and they’re wired directly into the house. That means they can be a large fire risk if they aren’t in good condition. Ask an inspector to tell if there are any signs of previous small fires, bad wiring, or too many flammable hazards in the attic. Also, ask if they see any signs of water damage surrounding the bottom of the unit. The estimated life of the unit. At the end of the day, you need to know how much life the HVAC system has in it. If it’s about halfway through its life, you’ve probably found a solid house. If it’s really old, bring that up with the seller. On the other hand, if the unit is brand new, make sure you ask the owner or the agent to disclose any potentially related problems. There are expenses that should figure into the negotiations. New air conditioning systems can run into the mid-thousands. If you’re looking at an older house that hasn’t been equipped with central air, you also need to account for a full ventilation and ductwork system. Bring up the numbers while negotiating the selling price of the house. Learning about a house’s air conditioning doesn’t just give you negotiating power. It keeps you safe. Schedule an inspection by contacting our team here.